The system won't change the displayed order size. We can't even manually change it. But if you spoke to someone, they will physically swap the jacket. I agree, good photography. 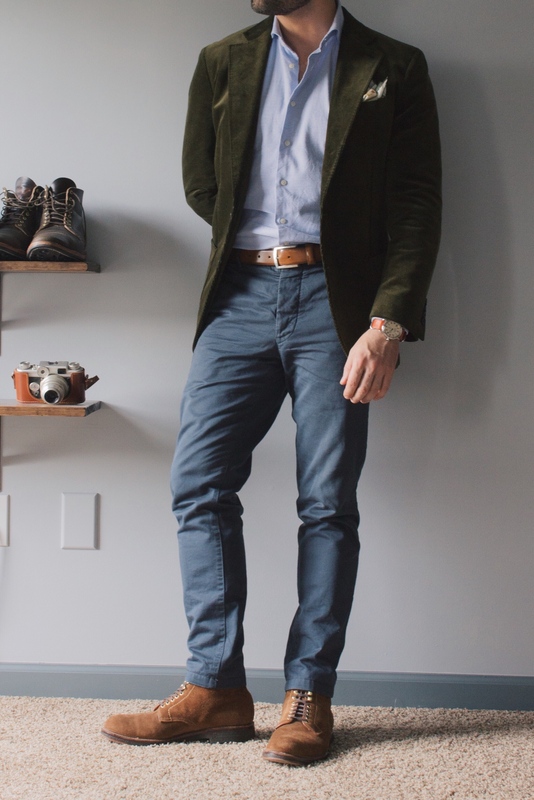 And the combination of olive, slate blue, and tan looks great. 100% agree. What a fantastic value for even $500, I was blown away. Length is perfect, shape is spot on. I ended up sizing up (have some jackets w shoulder padding from other brands/vintage) and didn't regret it for the extra room to move around, and the extra length. Just gotta say, quite a good fall line up. Now that everything's up, and you put it all side by side, very impressive collection. Those polo coats, the tweed, the glen plaids, the cords—all very on-point and on-trend for the tailoring world right now. If I were just now starting to build a wardrobe, instead of 5 years ago, this would be a huge boon for me and you'd be getting all my money! Rick really did an amazing job. The collection has some truly timeless pieces with the brown Herringbone, green tweed and different POW and Guncheck jackets. This isn't even including the spot on Winter coats and flannel trousers. Just added this new Minty Green Uni Stripe Oxford. So dope. Ordered this shirt with the quickness, exactly what I've been wanting right now. Is this the same cloth I ordered for MTM? Perfect timing. My red uni stripe OCBD wanted some company. Thanks for rounding the band front! No. You have the older one. Which is a shade or two darker. Still green though.